There’s only one man on the planet that could host a party in his apartment so damn popular that it became a global brand. 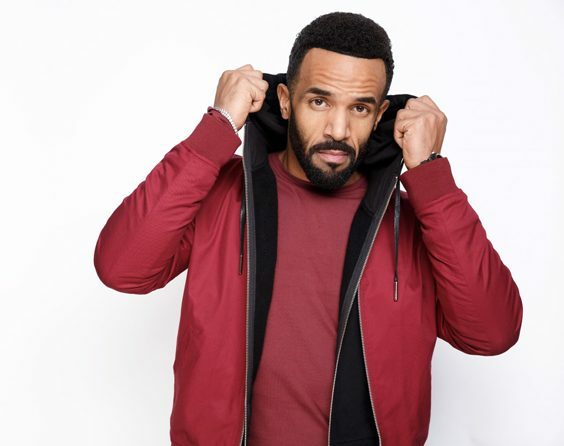 That man is, of course, Craig David, whose TS5 parties are world-beaters, including summer-long residencies at Ibiza Rocks hotel, which genuinely changed the face and format of clubbing on the island. This unparalleled claim to fame, 20 years on from his debut album, has again made him one of the hottest names in international R&B – and he’s performing a special one-off full concert at Market Rasen Racecourse as part of Jockey Club Live summer season on August 17th. The TS5 brand began life in Craig’s Miami apartment and grew organically into a thousands-strong party around the legendary Ibiza Rocks pool. Last year every single party sold out in advance and it’s off to a similar start for its return in summer 2019. The really incredible thing is that it shifted the clubbing demographic, turning the whole Balearic hedonism concept on its head from all-night clubbing to all-day. Having sold over 15 million albums, achieving 16 Top Ten hits and multi-platinum status in more than 20 countries, Craig has packed a lot into his career – but staggeringly its 20 years since he burst on to the scene with Artful Dodger and ‘Rewind’, the global hit that essentially made speed garage a thing. It’s also 20 years since his subsequent debut solo album Born To Do It. And it’s not all about the history of course, as Craig’s latest album from 2018, The Time Is Now, was his fifth UK top 10 long player, hitting No2 in the UK chart. And the good news is there’s more to come. And of course he was nominated for British Male Solo Artist at the Brits for the fifth time. It’s safe to say Craig David is back at the very top.